1/5/14 - Our beautiful front door and bed room doors (we have 2 the same as the front door, but with privacy glass) were delivered today. We spent a fair bit of $$ on these and have been eagerly waiting for them to arrive. 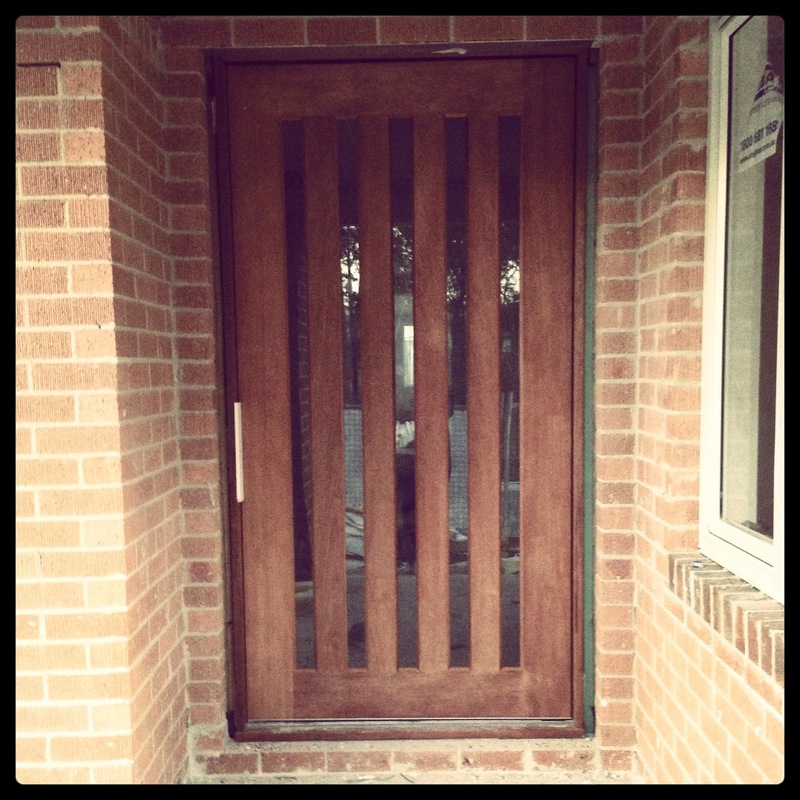 The front door was hung and it looks amazing, cant wait to see it stained. They have also hung the internal access door from the garage to the house - lock up is not too far away.